OUR KENNEL NAME HAS BEEN REGISTERED WITH ASDR SO ALL PUPPIES RAISED HERE WILL HAVE HALFPINT'S AS THE FIRST WORD FOR THEIR REGISTERED NAME NO EXCEPTIONS!! Prices based on confirmation, size, color, markings and eye color. Prices subject to change until a deposit has been placed. Please leave a message and I will get back to you as soon as possible or you can fill out contact form at bottom of the Payment page. ​Pets are sold with limited Registration Papers that you will receive after the dog has been spayed or neutered. 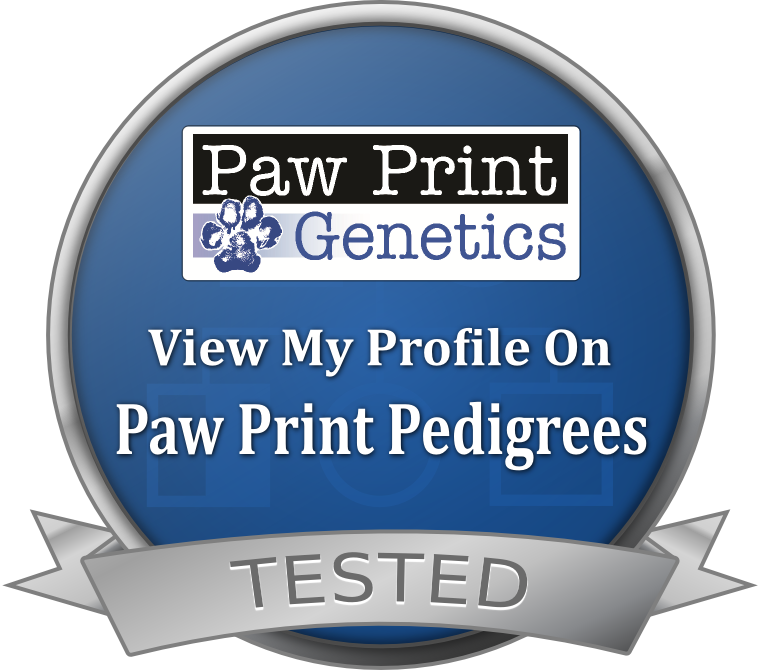 Click on above Paw Print Button to view all genetic profiles of my dogs.